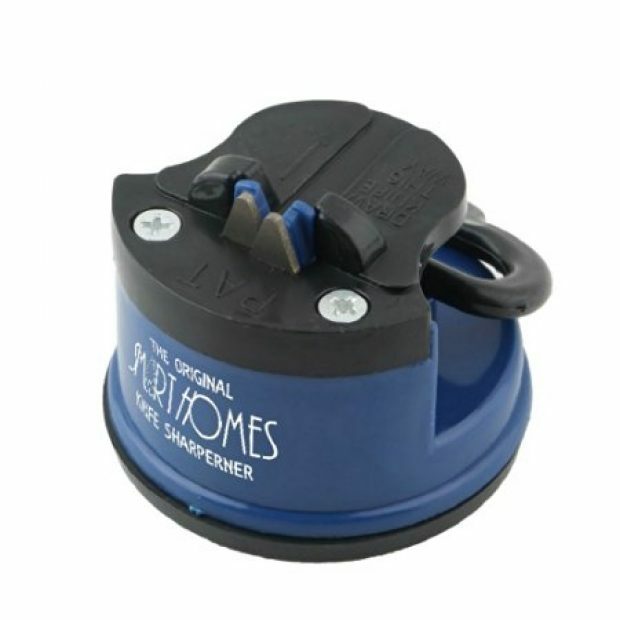 This blade sharpener is considered a “#1 New Release” on Amazon, which means it is one of the most popular products to recently come to market. It’s not hard to understand why. The product already has almost 200 customer reviews, and 80 percent of those customers have given it a perfect 5 out of 5 stars. That means it delivers on its guarantees and then some. 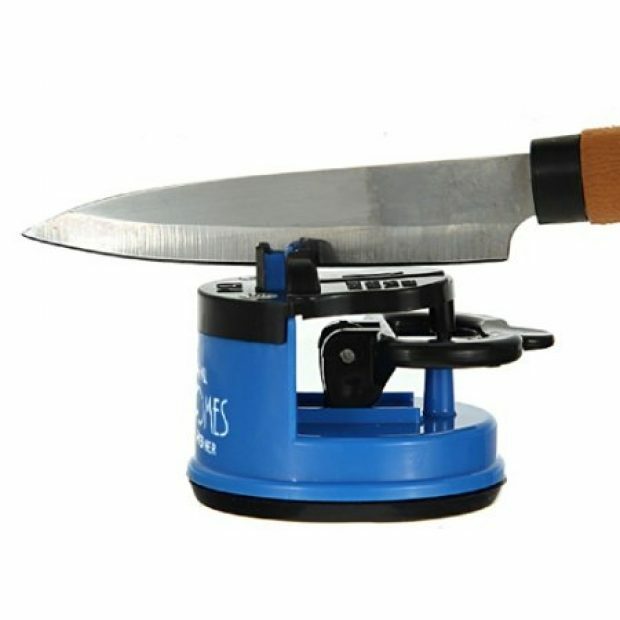 For what its worth, this product promises “to sharpen knives and scissors in seconds.” It comes with a “super grip-lock suction pad” that “secures the knife sharpener firmly on your flat glass-top or kitchen top so that you can sharpen any blade effortlessly.” Furthermore, it says it can give any of your old knives new life, including even serrated knives. Did mention the best part? It is currently 40 percent off. I do quite a bit of cooking at home, and have to cut up all kinds of food. I’ve used other sharpeners before, which were ok. But I was surprised how easy to use the Smarthomes Knife Sharpener was. I liked that it’s really compact so that it’s easy to keep. And it’s surprisingly sturdy for its weight too. You do need a clean, smooth surface for the suction pad to work. I guess it depends on how blunt your existing knives are, but for mine, approximately 5 to 8 strokes was all it took to have my knives sharpened. Remember to wipe off the shavings after sharpening though. Sometimes I forget how much EASIER cutting up food would be with a sharpened knife … so this knife sharpener is a welcome addition. Well worth it.